You may have noticed that there's a link to the Mini-Cooper, which is out-of-place on a "motorcycle" page. Well, I've included it here because I own one, I just bought it, and I don't have a Mini Cooper page yet. I've put a bunch of miles on it already. It's the "S" (super-charged) model, so it's really a lot of fun to drive because it's fast (and,.. it's comfortable). The big news is that I just sold my '92 Yamaha Virago XV1100 to my sister-in-law, Sue. She's been wanting to get a hold of a Virago (any older Virago) because of the low seat (she's a little shorter than average). All of the new bikes, even if they have low seats, all seem to have forward controls, so your feet are way out front. Anyway, I drove it out to Kansas City for her to drive it out to her place in Colorado. The rest of the links do relate to motorcycles. There's a link to the Norton site. 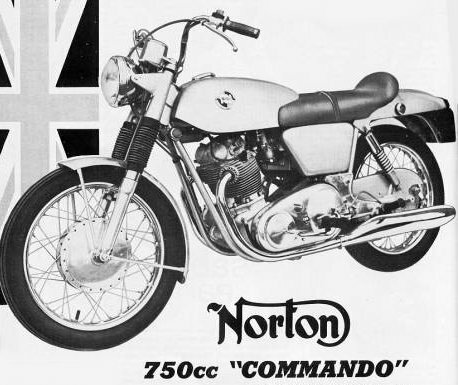 I rode a '68 Norton Commando that a friend from San Francisco had (Bill Crowe). 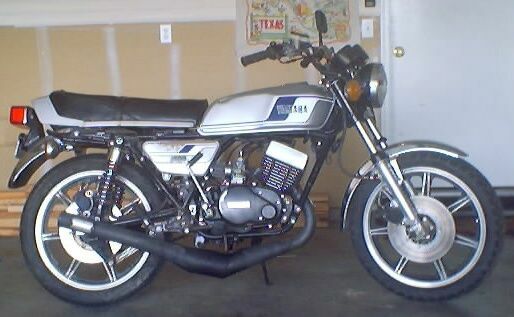 I bought my first motorcycle in 1976, I was 21 years old and it was a Yamaha RD-400. What a fun motorcycle. A friend on the ship (Bill Crowe again, USS Kitty Hawk) somehow convinced me that it was the right bike for me. He said it would be remembered as an outstanding bike of the time. It did become a rarity because it was a two-stroke street bike. A concept that would soon be banned by the EPA because of anti-pollution laws. There was an oil reservoir and you would adjust the oil-gas mix as needed. The first time I rode it (out of the dealer's parking lot) I pulled the front tire off the ground - scared the crap out of me! Well, I loved riding that motorcycle. It must have been about 6 weeks after I bought it that I had a bad accident with it. I was in the mountains east of San Diego and there was a patch of sand across the road. Well, I panicked and used too much front brake. I slid through the patch and then the brakes caught pavement and I flipped it over and went sailing over the handlebars. I was laid out for six weeks with a compression fracture of my lower lumbar vertebrae. The bike had bent forks that I had straightened out and a dented gas tank that I never did repair. I really enjoyed all the riding possibilities in southern California. I visited the desert and Mexico on the bike; freedom is the word that comes to mind. A few other buddies also had bikes (Marshall Prater, Mark Ellison & Chris Robertson). The bike was stolen from the parking lot on base just before I got out of the Navy in 1980. The Navy ended up reimbursing me for most of its value since it was stolen from on the base. Then when I left the Navy, I couldn't afford a motorcycle (college), so I went without one until 1994, when I bought a used '92 Yamaha Virago (1100cc). I really wanted a bike and I couldn't afford it. So my lovely wife Lorrie dipped into her 401K retirement plan to come up with the money to buy it. She's gotten a lot of back-seat time out of the deal. I'll bet more than half of the miles on it are with her on the back. 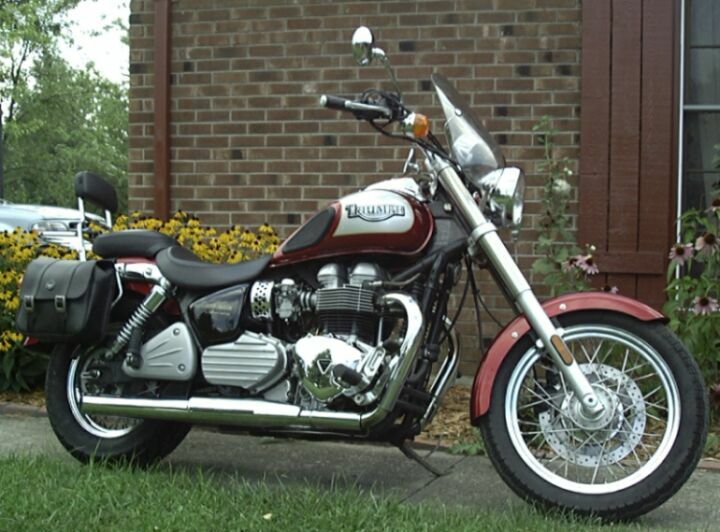 I ride a Triumph Bonneville America. 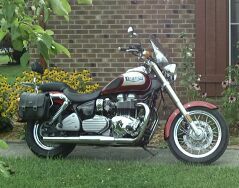 Here's a picture of MY Triumph Bonneville. I had the chance to ride a '76 Bonneville while in the Navy (Mark Ellison had one). Anyway, I confess that a big part of the reason I bought the Triumph was because everybody and t heir brother has a Harley Davidson these days. It seems that out here in the burbs when a guy has "made it", you know, at the age of 50 or so, they go out and buy a $25,000 motorcycle. The doctors and lawyers put their leathers on for the weekend and scoot around acting like "iron horse-men". I never knew I had so many friends. Everyone waves, I guess I feel the camaraderie, even though it does seem a bit contrived. I wave back if they wave first. 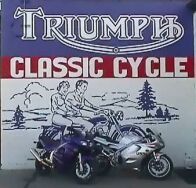 A thoughtful review of the 2001 Triumph Bonneville by Chuck Hawks with Steve Crocker. It's a worthwhile read if you're thinking about buying a new Triumph Bonneville. A historical timeline of Triumph from 1883 to 2003, from Coventry to Meriden to Hinckley, by Ian Chadwick. Talk about Triumph passion. He has an interesting looking personal page that links from his Triumph site. 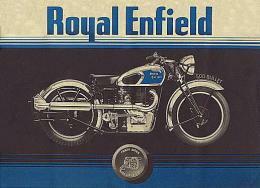 This links to a website called Triumph RAT Net which is a Riders Association of Triumph.